Wine racks allow you to store wine safely and conveniently, in one location. The cork will stay wet if stored horizontally which is vital so that it doesn't dry out and crumble. There are plenty of different capacities and styles, including wooden, metal, plastic and more! Why should I use a wine rack? Whether you have a collection of 10 or 1000 wine bottles, wine racks offer a solution to store wine bottles securely and in the correct position. Wine racks are the most convenient way to store and organise your wine. Long gone are the days of randomly stacking cardboard boxes of wine everywhere around your home! Wine racks are available in a variety of designs, styles, and choices to suit your lifestyle. 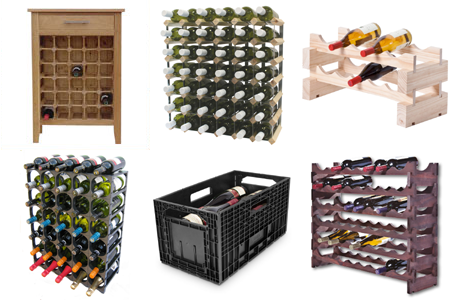 They are widely used for both home and commercial use and are an efficient way to store wine bottles. 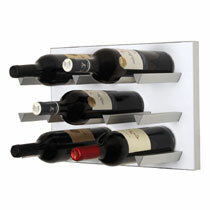 Wall mounted wine racks – these are convenient for storing your wine bottles efficiently. You can display your wine bottle collection while also saving space in your house, flat or space. Mounted wine racks look stylish and contemporary; ideal for wine lovers showing off their best wine bottles! A real feature in any space. 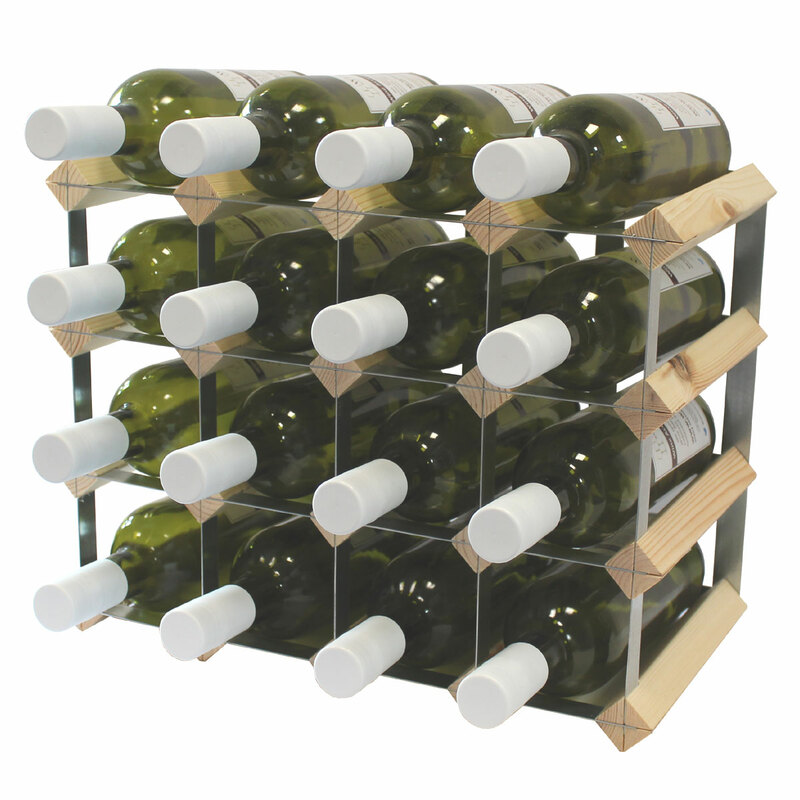 Stackable and modular wine racks – these are ideal for growing wine collections. They allow you to add another layer, so you can really enjoy collecting bottles of wine without worrying about your storage! 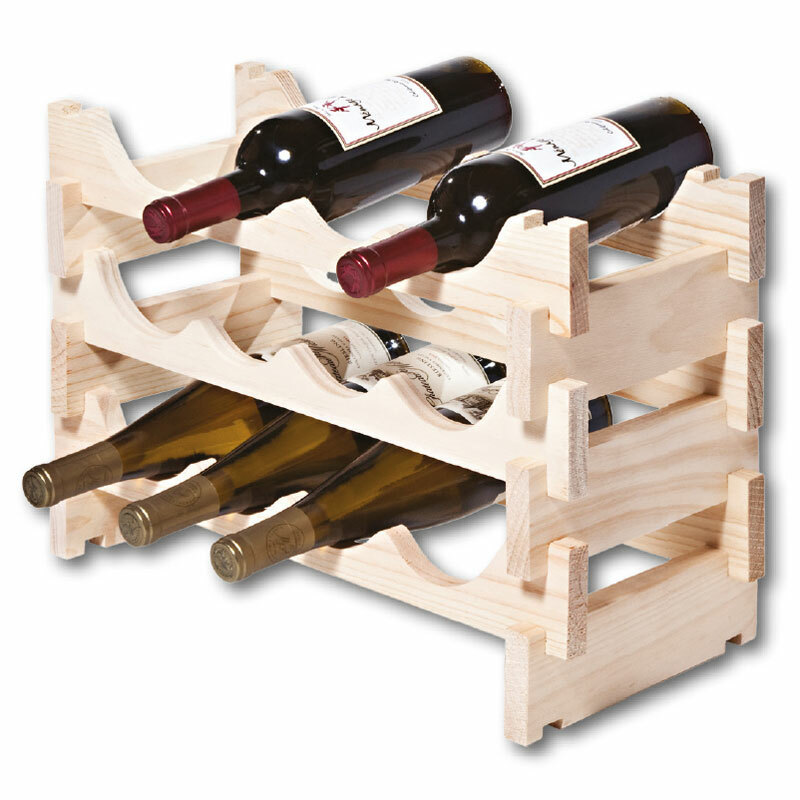 Stackable and modular wine racks are cost effective in the long run and ideal for all wine enthusiasts. Perfect for storing in cellars, dining rooms or kitchens. Table top wine racks – these are smaller as they will fit perfectly on a table top. They are ideal for kitchen tops and shop counters and provide a practical and stylish solution for your wine bottles. You can choose from a variety of table top designs to match your décor! Perfect for storing a small amount of wine bottles. Floor wine racks – these are both decorative and functional and are considered the ‘traditional wine rack’. They are made using a galvanised steel framework and pine slats. 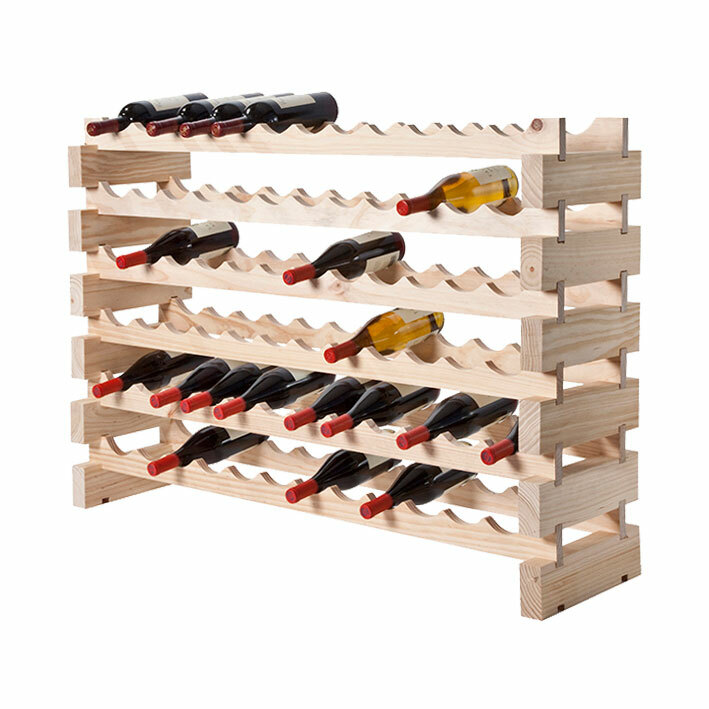 Traditional wine racks are available in natural pine or water-based stained options such as oak, black, and mahogany. This variety is the most popular and most economic. An alternative way to store your wine is wine furniture. For example: our wine storage cabinets and refrigeration. We also offer wine rack accessories from plastic wine bottle neck tags to wine bottle cellar sleeves and holders. These accessories are the best way to organise and protect your wine collection. We are proud to offer such a varied range of wine racks and hope you find what you are looking for. If you require any further information or advice then please feel free to contact us. We will advise you on the best wine rack for your space or room or alternatively our products can be tailored to the size of your wine collection.